This month we just finished setting up a new enclosure system in our Asian Temperate Green House, which hosts our Okinawa leaf turtles (Geoemyda japonica, Fan 1931), Black breasted leaf turtles (Geoemyda spengleri, Gmelin 1789) and our Impressed tortoises (Manouria impressa, Günther 1882). The idea was to reorganized the space of this building originally setup in 2006 at our conservation center. The two species of Leaf turtles are classified as endangered by the IUCN red list and the Impressed turtle is classified as vulnerable. Because of poaching for the pet trade and habitat loss, it’s getting crucial to continue to support the survival of these species through captive breeding. Almost all the turtles we keep at our conservation breeding center come from confiscations by the U.S. Fish and Wildlife Service. Unfortunately we receive confiscations of Asian turtles every year, but we try to make the best of the situation by using these animals for captive breeding programs. At the Turtle Conservancy we try to pay very close attention to the natural aspect of our enclosures, and respecting the needs of the animals. 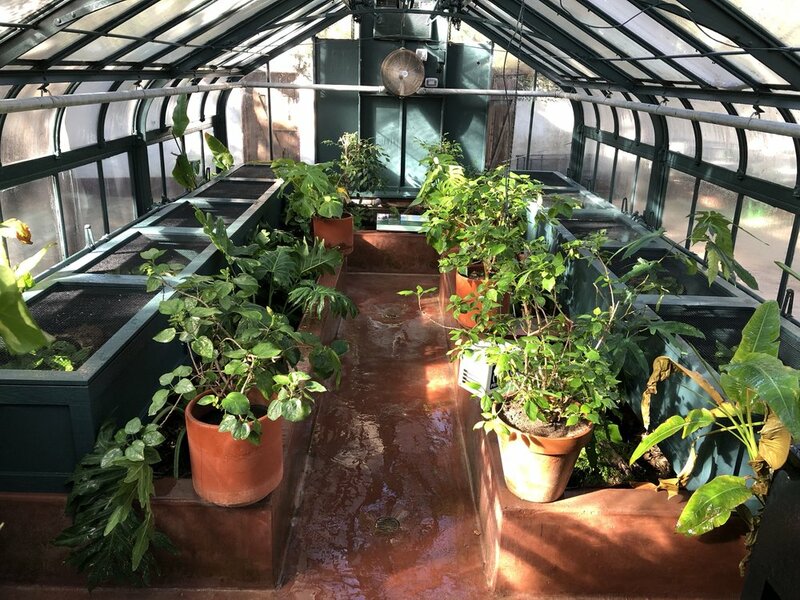 All of the species in the small greenhouse live in jungles under the coverage of full canopy. The vegetation helps them feel secure. So we provide lots of plants in our enclosures that turtles love to hide in. These three species are also very sensitive to stress in captivity and spend most of their time hidden under leaf litter or in small shelters. Animals are kept individually in order to minimize stress and to be able to better monitor their wellbeing. This new system was built also in order to improve breeding of these endangered turtles. We created removable separations to avoid touching the turtles when we have to mate them in the spring and in the fall. 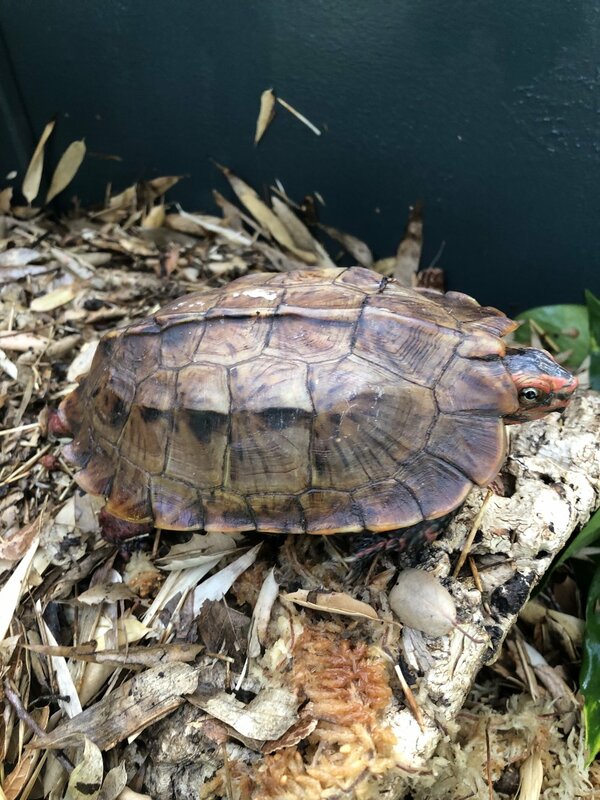 We have been breeding Okinawa leaf turtles and Impressed tortoises for quite some time, we received our Black breasted leaf turtles only last year and we hope to breed them next year!